The firestorm of my week’s online social networking activies is just a smoldering pile of ashes now. First, there was the never-should-have-been-posted comments about the Real World. Then a couple of too-transparent-tweets. This was all followed by a couple of existential posts on authenticity and safety. My appearance on Strange Love Live, I thought, was going to be the end of the discussion. However, others have been nudged to participate, and I’ve been engaging in a flurry of verbose emails trying to further clarify myself. I’m exhausted. It has been a long, long week. I need a vacation, and here’s the good news, we are getting on an airplane in Two days. I can’t wait. As I wind up things, preparing for ten days away, I’m slowing the momentum down and preparing to bring life to a stop. Today was a good prep for being gone. My 3 year old Darling Daughter and I loaded up in the car to go find treasure and adventure on the otherside of the bridge. She loves to cross the Mighty Columbia and the Lewis and Clark Bridge. There is something about the enormity and structure that draws her in. To her, we don’t cross the bridge, we go in it – which is actually the truth. We were headed to Kelso to pick up an item I’d found through the Freecycle Network. 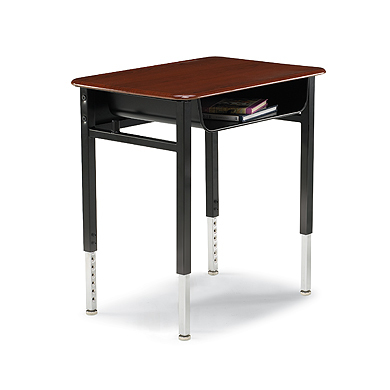 A family had a children’s school desk to get rid of, and since we plan to homeschool, we are in need of one. I’ve found that if I leave the radio and iPod off when I’m with my kids, I learn more than some of the brightest minds out there. Not only does my DD talk, but she asks hard questions (e.g. “Why is the bridge big?” “Why does it take so long to get there?” “Why are those boxes on that ship?”). Learning to navigate the answers, in simple, concrete ways, helps me to better understand the world around me. Not only was the Freecycle desk in great shape, but I think we made new homeschooler friends. Nice people! Feeling a bit hungry, we decided to get a burrito before our next stop. I looked over and saw a kids gymnastics place and quickly made a left turn into their lot. The sign said, “Now Enrolling Preschoolers!” DD and I took a tour of the place, quieried their prices, and watched other three year-olds do their stuff. While one of us was figuring out that a year of weekly gymnastics would cost the family $420 bucks, the other one had already decided she was ready to join right now! One of us understands the value of money and the other clearly has some things to teach her Dad about the value of being with people. We managed to extricate ourselves from that place without tears, but only after promising to talk to Mommy about the opportunity. Our next stop was the Longview College of Beauty. In my never-ending quest to find someone who can cut hair as well as I can, without charging me a day’s wages, I decided to take The Wife’s advice and try this place out. With my ever-diminishing crop of hair, and my apparent lack of concern for personal grooming, I figure, how much damage could they do. It’s a fact that my Mom used to take me to the Montivilla Beauty School when I was a puppy. Well, the student didn’t do that great of job, but her teacher did a fine job of cleaning it up. Either way, it was worth the $8 bucks! The best part of the experience was for my Darling D though. She loved being in a beehive of people. Not only were there about 40 young women for her to watch, but they were playing with “doll” heads and doing lots of interesting stuff. We never needed the coloring books or puzzles we brought along. This is just a precurser of the weekly dates I plan to have with my Darling Daughter, and later my Smiling Son. Not only do I want to give The Wife some time to herself (one of the best gifts I could ever giver her), but I want my kids to know their Dad. DD is of an age where I can take her into public venues and meetings, while not being concerned that I will lose the reason I originally came. My Dad used to take me to work all the time. I’d sit on the fender of some bouncing piece of heavy equipment – and I loved every moment of it. Looking into the face of my three year-old when we got home, it was clear, our day of discovery and adventure was filled with priceless, irreplaceable treasures.